When you live in Montana, you don’t take cell service for granted. While majestic, the beautiful Rocky Mountains and vast plains can often have spotty, if any cell reception. It’s important that Gil and I are able to talk to each other whether out on the lake, off-roading, or just working on the land. 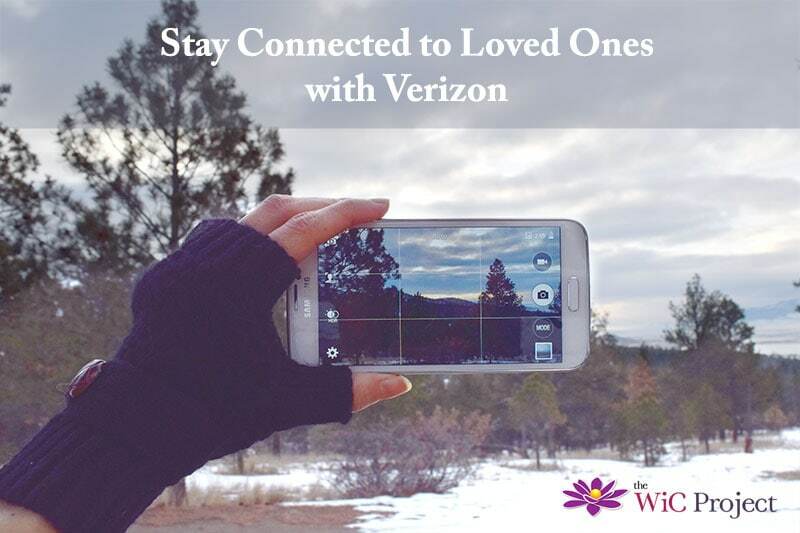 Verizon Wireless provides great wireless coverage, and affordable plans, to help you stay connected to your loved ones wherever they are. Take a Picture – Many smartphones have hi-res cameras that allow you to take beautiful pictures. Snap a picture to share the moment with your loved one later. Send a Message – Texting isn’t just for kids. Sending a quick message is an easy way to let them know you’re thinking of them. Video Chat – Can’t say “hello” in person? Whether using FaceTime or Skype, you can “see” your loved ones wherever you are. Verizon Wireless has the latest smartphones available so you can connect with your loved ones using the newest features and technology. If you’ve been waiting to pick up a new phone, Verizon is currently offering some amazing deals. Maximize your savings by using Verizon coupon code COUPONVZW to save $50 on select smartphones. Here’s a special hidden Verizon Deal you can grab right now! Purchase a Droid Turbo 2 Phone and get a free Qi Wireless Charger! Just add the Droid Turbo 2 phone your cart and purchase the monthly device payment to claim your free charger. This offer is valid through February 25, 2015. Enter using the form below for your chance to win a $500 Amazon Gift Card! I would like the Samsung Galaxy S6 Edge in Gold. It looks easy to use and like it’d be great for pictures. I would choose the iPhone 6s plus 32gb in white/silver because i’m in need of an upgrade! Galaxy S®6 edge in the Black Sapphire, 128GB so i can store all my photos and videos. its beautiful. Flip 3 Bluetooth Splashproof Speaker is my deal for 79.00. I can rock out with my cell phone and dance the night away. Samsung Galaxy S6 edge + 32GB in Black Sapphire. Great looking phone with great reviews! It’s amazing what all these phones can do now! The Verizon Valentine’s Day Deal that I like the best is $200 off the iPad Pro with a 2 year contract. That is perfect for me. The Galaxy Note 5. I need to see what is in front of me and I can’t stand phones with small screens. This is the phone for me! I’d pick the galaxy note 5, my friend has it and loves it! I really like the deal for the Ultimate Ears Roll Wireless Speaker because I have been wanting a wireless speaker for a long time! I have no idea, I have an old school cell phone and have never owned a smart phone yet, so I would definitely seek out advice before even attempting to choose one. iPhone 6s – Gold Prefer just using my phone the way I want right out of the box, not having to load ROM’s, waiting months for Android and my carrier to allow me to update (if they ever allow it). Plus, so much more options for docks, cases, etc. My favorite is the beautiful Samsung Galaxy S6 in White Pearl. I love the enhanced camera features and HD options. The Zagg folio case with keyboard for under $75 is a good price and is my favorite Valentine’s Day special deal. I would choose the apple iphone 6 plus because I already have it and I would like to get one for my son as well! I would choose the Apple 5s because I need a phone that will fit in my pocket. I would use it for the Samsung Galaxy S®6 32GB in Black Sapphire. I am looking to switch from iPhone to Android and I so want this phone. I need a beautiful phone with lots of functionality and this definitely fits the bill. As a busy working mom, I need a phone with a longer battery life than my current phone. I would buy the Apple® iPhone 6s Plus 16GB in Rose Gold because it has live photos. I like the Fitbit Charge HR Heart Rate and Activity Wristband. It would help motivate me to move more. I’d like the iPhone 6+ in Rose Gold as I use one for work and love the interface and stability. The Rose Gold color is a bonus! I would choose the Apple iPhone 6s Plus in Rose Gold. I love the color – it’s unique yet subtle. I love the concept of Live Photos — allows me to capture a still photo( together with what happens before and after my picture). I think that would work well when taking pictures of my Grandchildren, always a challenge because they never stay still, lol! I would get the S6 because I like Smasung. I like the ipad pro. I would get the 6s in rose gold with the coupon. If my contract was ready for renewal. I like the sale on the FitBit. I’m looking to possibly buying one. Maybe. I’d use the $50 off code COUPONVZW for the Samsung Galaxy S®6 32GB in Black Sapphire because I like the low monthly payment. I would choose iPhone® 6s Plus, just beacuse I love Apple phones. I would choose the Flip 3 Bluetooth Splashproof Speaker because I like its features such as Wirelessly connect to three separate smart devices. I would probably get the Samsung Galaxy S6 edge + 32GB in Black Sapphire with the $50 of coupon code. I already own the Note 4 & I love it, but I really want to try the S6 edge. I’ve heard it’s an awesome phone! As far as make, I’m pretty much sold on the Samsung brand of cell phones. I would choose the Samsung Galaxy S6 Edge in Gold! Gold is my color in 2016!! I’d pick up the Samsung Galaxy Note 5. I have Samsung tablets, so I already love an know the Android/Samsung Platform. I would use the $50 towards another iPhone – as the kids don’t have phones yet but have iPods and you can communicate with iDevices so it makes a divorced Mom’s communication easier BUT given a choice I would aim for a Galaxy 6 as I hate apple products and would love an android! Galaxies look easier to use which would make my life easier as the apple devices drive me insane. 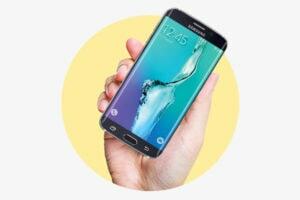 my pick would be the Samsung Galaxy S®6 32GB in Black Sapphire , long battery life and it has a powerful processor . I’d get the iPhone 6s 16GB in Silver, it would fit well with my new outfit. Better than my current black phone. Beats Powerbeats2 Wireless In-Ear Headphone %10 off looks good to me, I’m tired of headphones with cords. Samsung Galaxy Note5 32GB in Black Sapphire because I trust Samsung. I have their tablet and I love it. FitbitCharge HR Heart Rate and Activity Wristband because they are cool and I have wanted a Fitbit since they came out. I would choose the galaxy note 5. I know someone who has one and they love it. The deal that most attracts me is: the iPhone 6+ in gold. As much as I don’t like iProducts at all with my children both owning iPods it is a way to keep in contact with them while they are at school and their father’s house. And as I’ve learned with my 8g phone you need a hell of a lot of space as my phone now has over 6g of updates instead of a total 8g of space. Which is so wrong so a 64g phone may actually have more than 1 g of space for my music and other apps. I would love to try the Samsung Galaxy d6. I would definitely chose the Samsung Galaxy Note5 32GB in Black Sapphire with the $50 off code COUPONVZW because I have been dreaming of this phone since it came out! I love the JBL Flip 3 Bluetooth Splashproof Speaker and the color options! I would choose the Samsung Galaxy Note5 64GB in Black Sapphire, because of the phablet size for my fat hands. Valentines deals are over, but I would take the current deal of Get a free Samsung Gear S2 or Gear VR with purchase of the Galaxy S7 or S7 edge. I’d love the Samsung Galaxy S®6 32GB in Black Sapphire because my old phone is off contract and it is starting to fail on me. I like the Samsung Galaxy S®6 because it has the android os and has loads of apps. I would get the s2 tablet Samsung. I love tablets. I’d choose the Samsung Galaxy Note5 32GB in Black Sapphire! !